This Pain Awareness Month blog post highlights some recent advances by NINDS-supported researchers studying pain and, more importantly, new treatments for pain sufferers. Many of these treatments are dependent on recently discovered basic science achievements in the last 10 to 15 years. As I emphasized in my Pain Awareness Month blog post last year, basic science discovery in animals is the engine for developing new treatments. Through these discoveries, innovations are achieved to alleviate pathological pain and suffering in patients. The benefit of new treatments that target novel pathways, which are highlighted here, is that they can avoid side effects such as dependence and addiction associated with chronic opioid treatment. When most people think of treatment for pain, they think of a pill or pharmacological treatment. The experimental approaches described below transcend this idea. Through our fundamental understanding of the nervous system and molecular pathways, we are able to develop other types of treatment that are focused on the pathological changes in the brain, spinal cord, and periphery that lead to chronic pain states. It is well-established that migraine attacks can be exacerbated by sensory stimuli from the environment. These include light, sounds, and even light touch on the skin. Researchers supported by NINDS have been investigating the role of light sensitivity in modulating migraine pain intensity. Through this research they discovered a specific shade of green light that at low intensities actually decreases the severity of pain during a migraine attack. Migraine patients experienced increased intensity of their migraine pain in response to all shades of light tested except for this specific green wavelength. 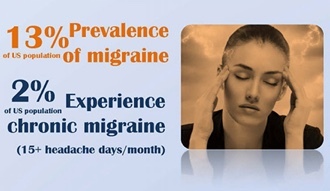 The researchers demonstrated this effect in animal models of migraine and later confirmed it in migraine patients. In other words, manipulating the environment of a patient suffering from pain can offer pain relief even in the absence of pharmacological treatment. This project gives us a window onto how crafted input from the environment might be helpful in treating neurological disorders. Researchers discovered that in patients who suffer from chronic pain, there may be a decrease in certain molecules that contribute to the health and vitality of neurons in the spinal cord that suppress pain signals. In mouse experiments, scientists found stem cells in the bone marrow that produce these needed proteins. They harvested these cells, and implanted them into the cerebrospinal fluid that surrounds the spinal cord in mouse models of chronic pain and found that there was long-term pain relief. The potential of cell-based therapies to take advantage of the body’s own redundancy and ability to heal itself opens up new possibilities for safe adaptable treatments for chronic pain sufferers. Our knowledge of molecular and cellular nervous system pathways and our ability to use electricity or light to control cell activity can be harnessed to modulate nerve function to treat neurological conditions. Researchers are now able to genetically manipulate cells, such that their activity can be regulated using light. Optogenetics, as this technique is called, is a biological process which involves the use of light to activate neurons that have been genetically modified to express light-sensitive ion channels. At the same time, there have been a substantial number of recent advances in our understanding of the cell types and circuitry used to process pain signals in the spinal cord. Researchers supported by NINDS have genetically modified pain-sensitive cells in the spinal cord – specifically, they have targeted cells that can inhibit pain and genetically altered them to be sensitive to light. In addition to this biological manipulation, the researchers worked with engineers to develop small flexible light-emitting diodes that can be used to apply light locally to these modified spinal cord cells in mice. This hybridization of advances in biological and electrical engineering provides new avenues for us to selectively activate or inactivate circuits in the spinal cord that carry pain signals – which could one day be used to treat pain patients with highly selective targeting of those pain circuits. The specificity of these techniques has the potential for individualized treatment for patients with a variety of chronic pain disorders. The research landscape for chronic pain treatments is promising. There are a multitude of teams studying chronic pain and novel pharmacological and non-pharmacological treatment approaches that have low likelihood of dependence, addiction, and overdose. Research sponsored by NINDS is poised to move towards an era where physicians and patients have better options for treating chronic pain in an individualized way that will reduce patient suffering, increase quality of life, and improve function. The NINDS is committed to the development and support of a neuroscience research workforce that engages the ideas, creativity, and innovation from all diverse backgrounds and segments of society. As a federal agency, this vision aligns with policies of open access and, perhaps equally important, makes sense as business case for our scientific enterprise, as well as the NIH research mission. We must leverage the entire U.S. intellectual capital as the American population becomes increasingly diverse. A diverse workforce results in higher-quality scientific research through greater innovation, creativity, and discovery (Nelson and Quick, 2012; Page, 2007). NINDS seeks to promote diversity in all of its training and research programs, and to increase the participation of underrepresented groups. We accomplish this by recruiting and preparing underrepresented trainees; developing meaningful mentorship and connecting diverse individuals to supportive networks; and providing resources for retention and eliminating barriers for career transition. Specific funding opportunities exist for individuals from underrepresented racial and ethnic groups, individuals with disabilities (defined as those with a physical or mental impairment), and individuals from disadvantaged backgrounds (applicable high school and undergraduate candidates). The diversity programs at NINDS include individual NRSA fellowships (F31), career development awards (K01, K22), and institutional program grants (R25) for neuroscientists across all career stages. NINDS encourages all eligible scientists to explore and apply for these opportunities, some of which are highlighted below. We’ve known for decades now about the “leaky” STEM (science, technology, engineering and mathematics) pipeline. Too few blacks and Hispanics, and too few women of all colors, stick with STEM courses as they progress through school and too few end up pursuing careers in the sciences. While a considerable body of research suggests that the STEM pipeline develops major holes by high school, a recent study indicates that disparities in STEM education may actually be traced back to before kindergarten . In an effort to reverse these worrying trends, the White House recently launched the inaugural National Week at the Labs (February 29 to March 4) in coordination with the White House Council on Women and Girls (CWG) and the My Brother’s Keeper (MBK) Task Force. Kicking off the week was an event at the White House meant to bring together scientists, engineers, and lab workers to inspire students with engaging experiments and STEM mentoring sessions. Representatives from NINDS, including Dr. Edjah Nduom, Neurosurgery Branch Staff Clinician, and Dr. Michelle Jones-London, Director of Diversity Training and Workforce Development, attended the event and had the pleasure of guiding eager kids through hands on demonstrations about how the brain works. In addition to the event at the White House, throughout the week more than 50 federally funded labs and research institutes in more than 20 states opened their facilities to thousands of local students. Seeing this as a perfect opportunity to introduce NINDS’s research to a diverse set of students, we invited members of Girl Scout Troops from the DC and Maryland area to visit the John Edward Porter Neuroscience Research Center. From identifying the genetic causes of rare autonomic nervous system disorder called familial dysautonomia (FD) to developing a screening test to discovering a potential treatment, Susan Slaugenhaupt, a neurologist at Harvard University and Massachusetts General Hospital, has utilized NINDS funding for every step of her 23-year-long effort to combat the devastating disease. Now, with help from the NIH Blueprint Neurotherapeutics Network, Dr. Slaugenhaupt is developing a new therapeutic to treat FD with plans to advance into clinical trials. 2015 was a remarkable year for neuroscience. The Breakthrough Prize in Life Sciences went to three neuroscientists for their pioneering work in optogenetics and Alzheimer’s disease. The BRAIN Initiative® teams are developing breakthrough tools to probe neural circuit activity. NIH issued 67 new BRAIN Initiative® awards to 131 investigators working at 125 institutions, bringing the year’s investment in the ambitious project to $85 million. And Alzheimer’s disease research received a massive boost from Congress. The National Institute of Aging (NIA) will receive $350 million to learn more about the devastating neurodegenerative disease and discover new treatments, with NINDS directing some of those funds for projects on Alzheimer’s disease-related dementias. As we look back over the year, there were many outstanding scientific advances by NINDS-funded scientists working on the NIH campus or in universities and research institutions across the country and the world. These advances represent progress toward the Institute’s goal of understanding the normal function of the brain and the biology underlying disorders of the nervous system. The ultimate goal of bringing effective new treatments to patients who suffer from neurological disorders remains a difficult one, but each year brings us closer to real breakthroughs. What follows are just a few examples of the many remarkable basic, clinical, and translational research supported by NINDS. We encourage you to learn more about the amazing discoveries made by NINDS scientists in 2015 by visiting our news pages, reviewing messages and blog posts from the NINDS Director and other NINDS staff, and exploring the details of our myriad research programs. 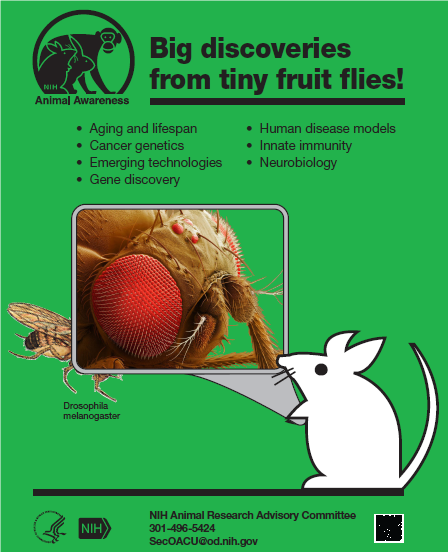 Click an image below to access a slide show of NINDS-funded research discoveries in 2015. For many years, the R01 (Research Project Grant) has been the go-to mechanism through which NIH supports investigator-initiated research. As most of you know, an R01 award supports an individual project described prospectively by an investigator in a grant application. During the last 60+ years, many biomedical breakthroughs originated in laboratories that were stably funded through one or more long-running R01 grants. Further discussion of a concept for an innovative new funding mechanism (had been discussed at the previous Council), as well as concept approval for clinical studies related to emergency medicine and adolescent brain development, headlined the January 2015 National Advisory Neurological Disorders and Stroke Council (NANDSC), my first as acting Institute Director.